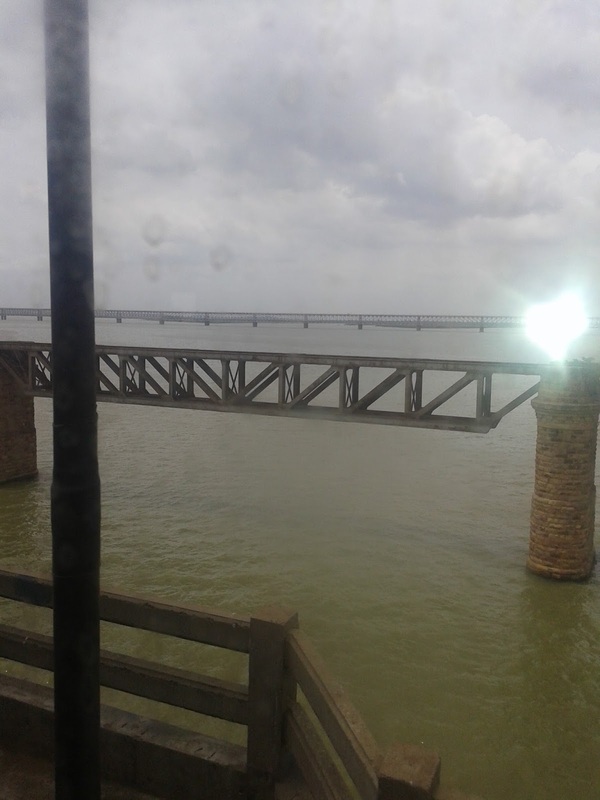 During my travel to Rajamundry for the Godavari Pushkaram 2015, I took photos of the River from the train travelling on top of the bridge. It was a divine light which flashed when I attempted to capture it. The Photo was taken at 11:00 am in the morning and the sky was cloudy. 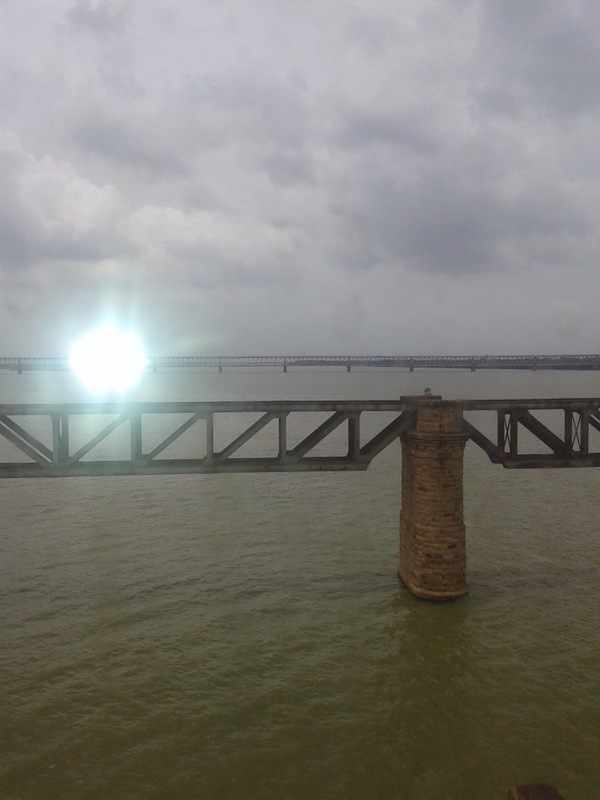 So sunlight was dim and you can see the sun's dim shadow in the Godavari river in the adjacent Bridge. The light was in the center of the Godavari river. Celestial deities and Nadhi devatha murthies gather in Godavari river during the Pushkaram period. I guess it is the effulugent form of the Divine beings. You can see the photos taken below.